Having troubles calming your canine? We’re here to help. When a dog gets overly excited, it can be like trying to stop a freight train if you’re not prepared. That’s why we’ve compiled these 10 tips to calm a hyper dog. There is hope to calm hyperactive dogs! First, it’s very important to understand why dogs get hyper. There are a variety of causes. 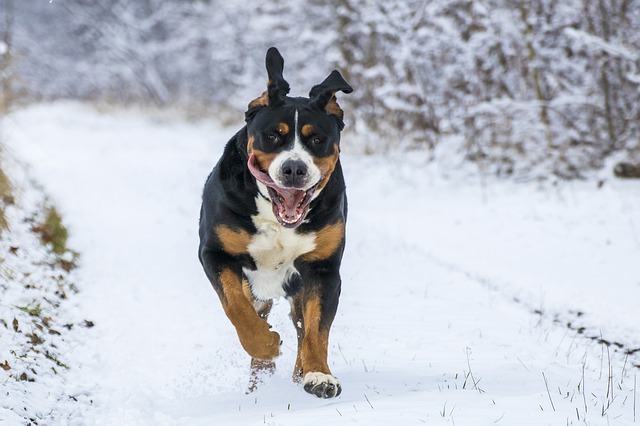 Your dog may be high energy for one, or a variety of these reasons. If your dog has a hard time settling down, you may not be fulfilling his or her mental, physical, or social needs. Breed drive, lack of training, poor diet, and medical issues can also influence dog hyperactivity. First thing’s first. Hyper dogs need a lot of exercise. Most of us in today’s fast paced environment get too busy, and don’t give our dogs the physical stimulation they desperately need. The formula is foolproof. More exercise almost always leads to better dog behavior. A dog that is physically tired is less likely to have spells of hyperactivity. They’re also less likely to get into trouble like inappropriate digging or chewing. Dog’s need mental stimulation, too. You don’t need a huge yard or park to work out your dog’s brain. You also don’t need hours of free time. About 15 minutes of mental exercise are equivalent to 60 minutes of physical exercise! Certain dog breeds are nearly impossible to exhaust with physical exercise alone. There are lots of ways to exercise your dogs brain. Check out this article from Wagsburgh in Pittsburgh, PA for some easy brain game ideas for your dog. Dogs love to have a purpose. If you want to calm a hyper dog, give her a job she can invest in and care about. Jobs can stimulate a dog’s mind and body. A dog with a job will have lower anxiety and higher confidence. Before just picking the first dog job that comes to mind, consider your dog’s behavior. I would make a terrible accountant, but my neighbor may be perfectly content crunching numbers all day. Dogs are the same. You know your dog as well as anyone. Pick a job that will fit your dog’s personality. – Companion – For dogs that are great companions, simply fulfilling that role is an important job to them. Allow them to accompany you through more of your daily routine, and they will feel on top of the world. – Guarding – Let your dog know you appreciate it when he wards off threats, even if they aren’t really threats. If a dog has the desire to protect you, don’t put out that fire. However, it’s important to train the dog to fulfill this job while submitting to your boundaries. – Retrieving – Ducks, balls, newspapers, or a beer from the fridge. Dogs that love to retrieve LOVE to retrieve. 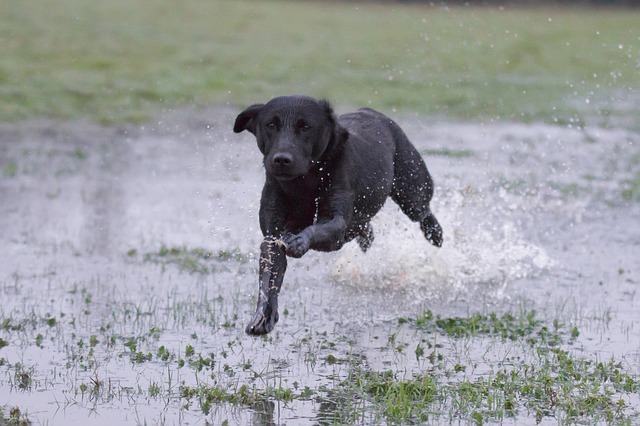 Give these dogs every opportunity to retrieve for you in all aspects of life. – Rescuing – If you have a caring dog that would do anything to rescue you from harm, don’t go throwing yourself into life-threatening situations. You can create fake, fun rescue situations that your dog will love. For example, hide under the sheets and call your dog for help. See how long it takes them to find you in the covers. – Pulling – Dogs that love to pull need a constructive outlet to do so. If you don’t have an iditarod sled, give them a wagon, play tug of war, or a give them toy they can pull around. – Sniffing – If your dog is always evaluating his or her surroundings by smell, find a job that involves sniffing. Hide toys, scatter food in the yard, take them hunting, teach them to find antler sheds, etc. – Herding – If you bought a dog to herd livestock, make sure they get their fix! If your non-ranch dog shows herding tendencies, try taking them to a park full of geese. Use a long leash, if necessary. While your dog may not fit perfectly into one of the categories above, your hyper dog needs a job. An unemployed dog is far more likely to be hyperactive. Engaging your dog with training, exercise, and personal attention is always best. However, you don’t have to do all the work. Find some brain-stimulating dog toys that your dog will love. That way, your dog can stimulate his/her own brain while you are preoccupied. Calm energy will help your dog stay calm. If you’re angry, stressed, or lose your temper, your dog is bound to reflect that with hyper energy. Be intentional about reflecting calm energy when you want your dog to calm down. Sometimes your dog is hyper because you don’t give them enough attention on a daily basis. He or she might be craving time with you. Especially if you have a dog that loves companionship, you can’t expect them to behave well after being neglected all day. In some situations, more attention will lead to less hyper behavior. If your dog receives adequate attention, it may be best to ignore your dog’s hyper behavior. For many dogs, attention of any kind is a reward for behavior. So, by giving your dog any attention at all (positive or negative), you’ve just encouraged their hyper fit of barking and jumping. 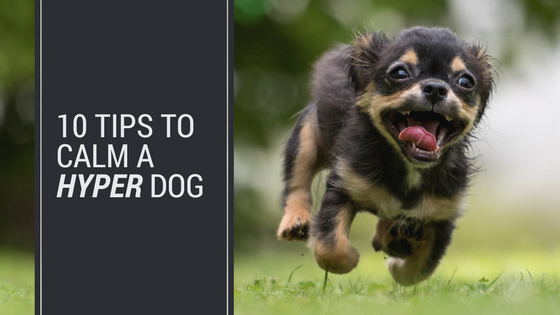 For these situations, give NO eye contact, talking, or touch when your dog is overly hyper. Most of the behaviors that dogs exhibit during hyper spells can be corrected with training. Barking, jumping, chewing, and digging are all correctable, if you’re willing to invest the time. Training will not only grow your bond with your dog, it will help stimulate his or her brain and body. In the end, it will help your cause of creating a dog that isn’t so hyper. For help training these behaviors, read 5 Common Dog Training Problems and How to Fix Them. The cheapest dog food at the big-box store probably isn’t doing your dog any favors. If you load up a kid with unhealthy food, you can expect more irritability and negative behavior. The same goes with dogs. If you want premium health and behavior, you may have to buy premium food. If you follow steps 1-9, you’ll probably see dramatic improvement. In some rare situations, medical help is necessary. 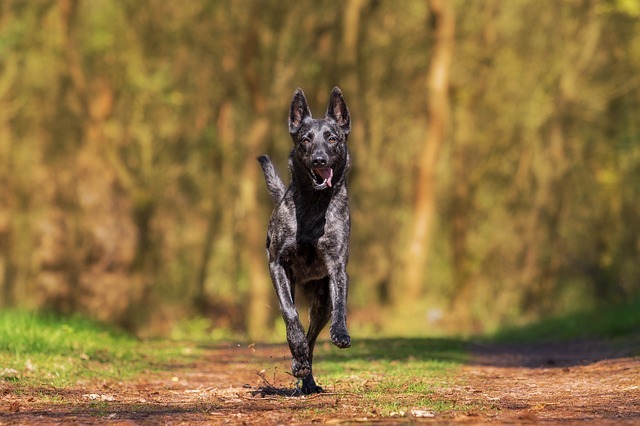 Many dogs exhibit hyperactive behaviors, but some dogs do have diagnosable ADHD. There are medical and supplemental options available to help dogs calm down. Want to understand the difference between normal hyperactivity and ADHD in dogs? Read this article from petplace.com. There you have it. No matter how crazy your dog may seem, you can calm your hyper dog. It will take dedication, but the work is well worth it when it produces a well-behaved dog. Do you have a hyper dog? Tell us about them in the comments below!